NYAnything: 聖誕節。來塊派吧！ 2009 Christmas Pies. Christmas is around the corner! 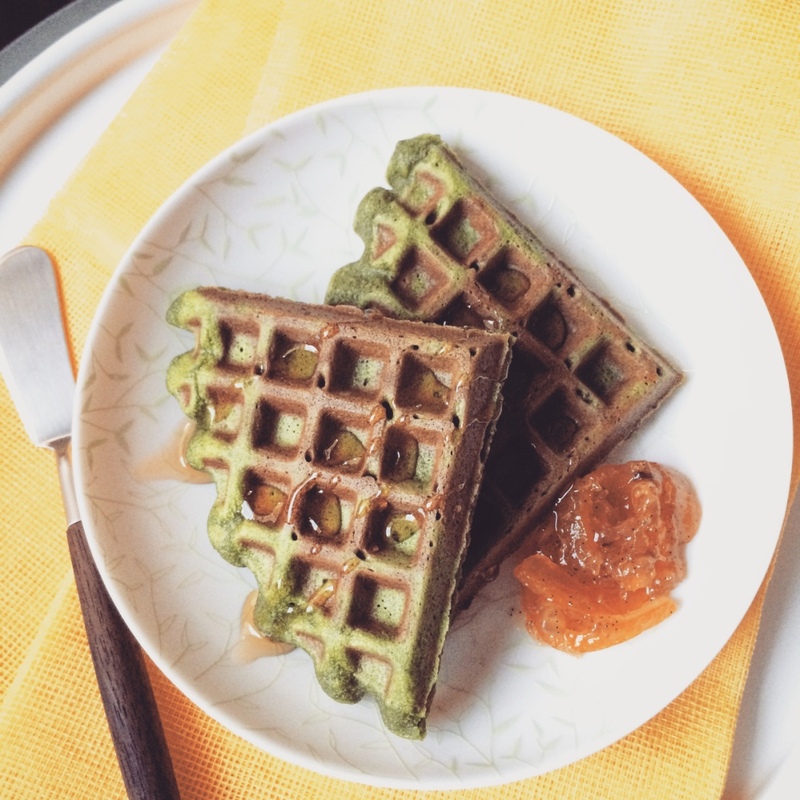 Here, I would like to offer you some sweet choices for your upcoming Holiday feasts! 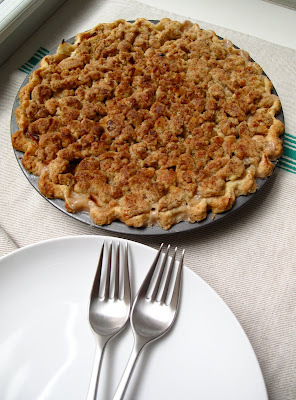 *For the pie crust, I do use both butter and vegetable shortening in the pie dough, and they both are from Whole Foods Market 365 Organic brand. Photo here. *All the pie is 9-inch, and boy, they are heavy! Enough for 8-10 people to enjoy. *The pies will be freshly made and baked at the same day when you pick up, you will have a freshest pie to enjoy with your family and guests. *I will take your order starting now until 12/23 Wednesday 5pm. 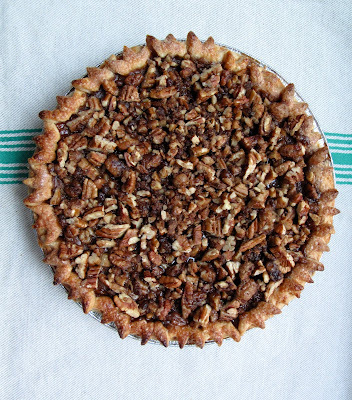 And you can pick up the pie at Union Square area (like last time) after 4pm on 12/24 Thursday. *If you like to have your pie before Christmas ( YES! you also can bring a pie to a party, or for your clients as a gift, or friends.......), please let me know 24 hour advance and it will be made for you. Using about 3 pounds of greenmarket apples to make a whole pie!! Hand chopped apple mix with little amount of sugar and cinnamon, fresh cranberry and current make this pie very festive! 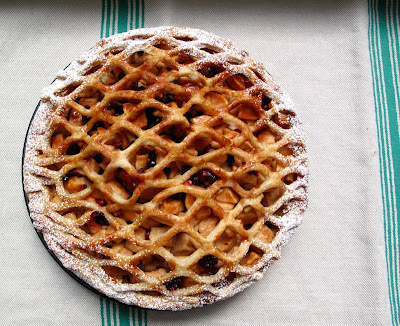 Lacy top make it much prettier than regular apple pie. How can a Christmas without a pumpkin pie?! 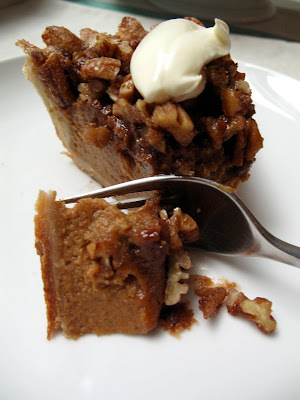 But this one is not your ordinary over-sweet pumpkin pie! The pumpkin puree is cooked with spices first on the stove to concentrate all the flavor, and then baked. When the pie is almost done, I made a special maple pecan ( it's like candied pecan with maple syrup) and sprinkle on top, and bake until toasted and crunchy. It's a lot of work for this pie, but sure it's worth it!! I think the pie don't even need ice cream to go with, it's creamy, perfectly spiced and importantly, not very sweet!! A touch of whipped cream or cremem fraiche will be a perfect dessert for your holiday. Just like my Thanksgiving offer, Sour Cream Apple Pie is also available for you to order. Thank you, everyone, and MERRY CHRISTMAS!!! every pie looks so pretty and delicious. 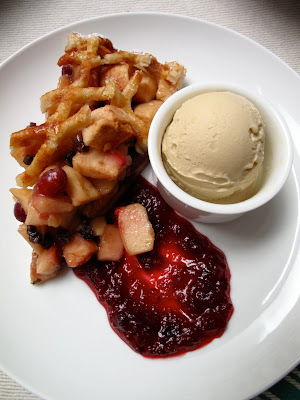 for me, it will be hard to decide from apple cranberry and sour cream apple (this is my all time favorite pie). For me, my favorite is the sour cream apple pie too!! Can not have it at house anymore, I will eat it all!!! i am going to try the chocolate chip cookie :) It looks good!! Woohoo, Kuan-Fu, good luck! Hope you will like those cookies!